Progress on a new and expansive desert telescope tasked with helping scientists solve the mysteries of the universe has been captured from space. 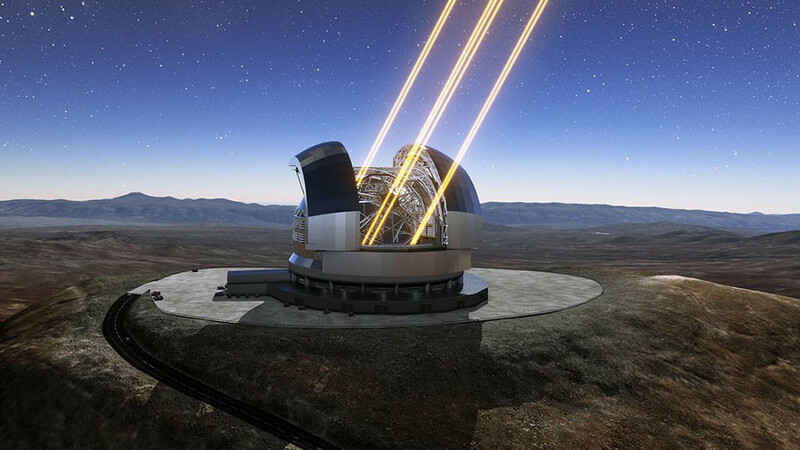 Located atop the Cerro Armazones in Chile’s Atacama Desert, the European Southern Observatory’s Extremely Large Telescope (ELT) is big enough to warrant the entire top of the mountain area being flattened to make way for the ultra-modern infrared device which boasts an “eye” half the length of a standard soccer pitch. Now the Deimos-2 satellite, operated by Spanish outfit Deimos Imaging, has captured the features of the observatory which is due to be fully operational in 2024. Devised by the astronomy research agency back in 2005, ground was first broken by construction workers in a 2017 ceremony attended by Chile’s president Michelle Bachelet Jeria and ESO officials. At the ceremony, Director general of ESO Tim de Zeeuw heralded the development as a golden opportunity for scientists. “The ELT will produce discoveries that we simply cannot imagine today, and it will surely inspire numerous people around the world to think about science, technology and our place in the universe,” de Zeeuw said at the time. The new ground telescope, which has a 39-meter (130ft) main mirror, has been described by ESO as “the world’s biggest eye on the sky.” The ELT will be used to find Earth-like planets and other habitable zones in space.